Did you even remotely consider that the Rapture of the Ekklesia was going to occur last month? Millions of our Christian precious brethren did exactly that, and many were quite certain that it would. As proof, they cited signs in the heavens, including this past August’s eclipse, the April 2024 eclipse, and the September 23 planetary alignment on the Jewish Feast of Trumpets. The big question is: Did they show their faith by maxing out their credit cards with luxury items? In case you missed our mid-September email titled JAL’S BOLD PREDICTION ABOUT THE COMING SIGN IN THE HEAVENS SEPTEMBER 23, please read it now, as it specifically addresses why it was foolish for so many Christians to even entertain the notion that any astronomical “sign” pertained in any way to us Christians. It is understandable that those dear members of the family of God who have been taught “standard Christian error” could be hoodwinked into believing something that is so clearly off the wall biblically. But there is no excuse for anyone who has been instructed in biblical truth to fall for such a groundless idea and let it in any way distract us from our day-by-day calling to be the light of the world and the salt of the earth, snatching as many people out of the fire as we can before our Lord Jesus yanks us all out of here. So, in this FOD, let’s review some of the Word we are so privileged to have been taught, not only to refresh our memories but also to help us live according to God’s truth as He sets it forth for us in that Scripture addressed to those of us who are “born again of incorruptible seed.” It is very sad that so few of our brethren understand these basic truths, especially what parts of the Bible are written to whom. Biblically speaking, there are only three categories of people who have ever lived on the earth: Jews, Gentiles, Christians (1 Cor. 10:32). Adam (Human #1) was certainly not a Jew or a Christian, so Gentiles (“nations,” that is, everyone who was not a Jew) came first. About two thousand years later, Israel was called out of Jacob and his twelve sons (Gen. 32:28). God’s goal for them was to be a nation of priests who would make Him known on the earth (Ex. 19:6). They failed miserably, but God kept His promises to them (Rom. 9:1-5), chief among which was their Messiah, the Promised Seed of Genesis 3:15 who would be the Savior of the world. About four thousand years after the first Adam was created, Jesus of Nazareth, the Last Adam, was born. Whom did he find on the earth? Only Jews and Gentiles, and he made it very clear that his mission was to save “the lost sheep of the house of Israel” (Matt. 15:24). But the wicked leaders of Israel didn’t take kindly to him upsetting their religious apple cart, and murdered him. In the Hebrew Scriptures (commonly called the “Old Testament”), God had promised His Son that if he would go the distance, through the Cross, He would raise him from the dead, highly exalt him as Lord at His own right hand, and later send him back to Israel to save those who believed. Jesus would then be King of the World for 1000 years before creating a new heaven and a new earth. God kept the first part of that promise, and He will keep the second part also. This Secret was so critical to God’s plan of redemption and salvation that had Satan known it, he never would have crucified Jesus (1 Cor. 2:8). Why? Because the Devil would rather have faced off with one Jesus on the corner of 12th Street and Vine in Jerusalem than to now do battle with millions of Christians all over the world who are equipped with his power. The magnitude of that truth is almost beyond our comprehension. And God said, “Let there be lights in the vault of the sky to separate the day from the night, and let them serve as signs to mark sacred times, and days and years. 6 When they therefore were come together, they asked of him, saying, Lord, will you at this time restore again the kingdom to Israel?7 And he said unto them, It is not for you to know the times [chronos] or the seasons [kairos], which the Father has put in his own power. 8 But you shall receive power, after the holy spirit has come upon you: and you shall be witnesses unto me both in Jerusalem, and in all Judea, and in Samaria, and unto the uttermost part of the earth. We elaborate in detail upon these tremendous truths in all three of our videos, One Day With The Creator, The End Times, and Jesus Christ, The Diameter of the Ages. It would surprise many of our brethren to know that the Christian ekklesia has no “Jewish roots,” “no Jewish heritage,” and is a totally separate entity from Israel in God’s program. Why? Because Christians collectively comprise the “one new man” of Ephesians 2:15, and “new” means “new.” When either a Jew or a Gentile confesses Jesus as Lord and believes that God raised him from the dead, he joins that third group of folks who are “neither Jew nor Gentile” (Gal. 3:28). It is sad to say that despite the Lord Jesus later revealing the Secret to Paul, who emblazoned it in his epistles to Christians, most vividly in Ephesians, the Secret is still a secret to the majority of Christians. 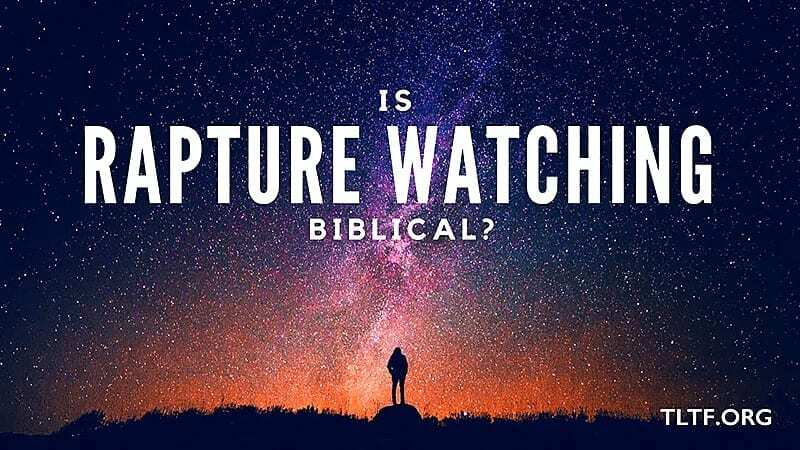 Satan has done a masterful job of obscuring this glorious reality and keeping most Christians mired in the Hebrew Scriptures, the Four Gospels and the Book of Revelation. In essence they are reading someone else’s mail and trying to live thereby, which doesn’t work. How blessed we are to have been taught the pertinence of Romans through Thessalonians—as well as that of the leadership epistles of Timothy, Titus, and Philemon, and the relevance of Hebrews through Jude. Think about the truths therein: the permanence of salvation, who you are IN CHRIST, the power of the gift of holy spirit you have been given, the nine manifestations of holy spirit at your disposal, and your personal relationship with the Lord Jesus. Perhaps the greatest truth is the glorious HOPE we have, which is not death and not going through the Tribulation, but at any second being caught up to meet our Lord in the air. Satan wants to obscure all that, and get people to believe that God is in control, that they can lose their salvation (which countless Christians believe), that speaking in tongues is either devilish or irrelevant, that death introduces them to Jesus, and get them to spend their time arguing about baptism, tithing, titles, and clerical garments, including hats. I’m not sure I fully appreciate the immense privilege it is that somehow I was in the right place at the right time to learn the above truths, which are such a rare commodity on the earth today. That motivates me in two ways: first, to practice them day by day, which I too often fail to do; second, to share them with others. One way you can at least do the latter is to pass on this letter to everyone you know who could learn something from it.